This is a lovely understated hoop top design with round bars that looks equally at home in a woodland type setting or in front of a suburban home. 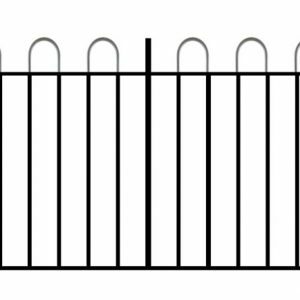 The rounded top makes it very safe and is ideal for schools, parks and recreational areas. 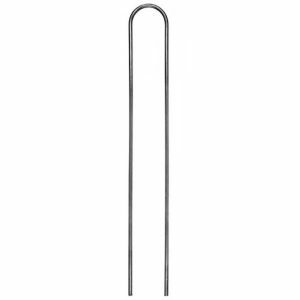 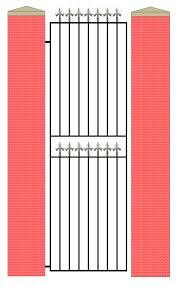 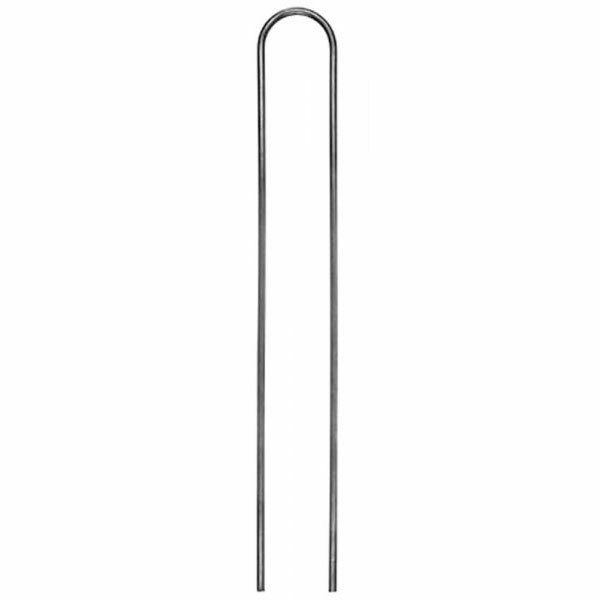 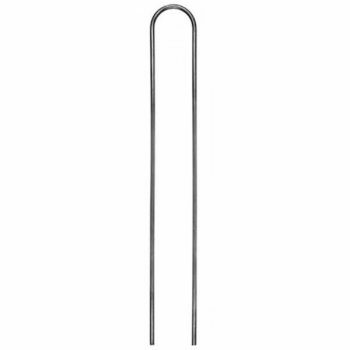 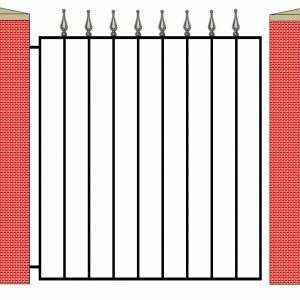 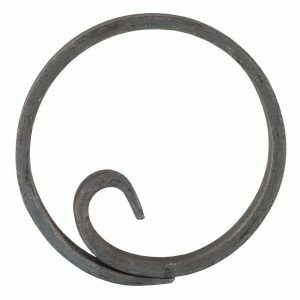 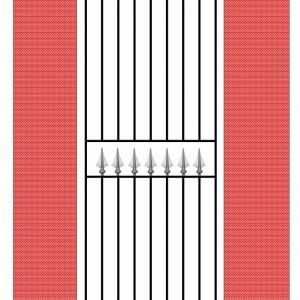 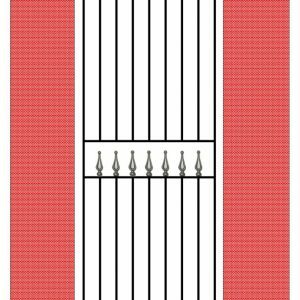 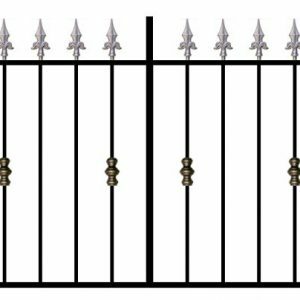 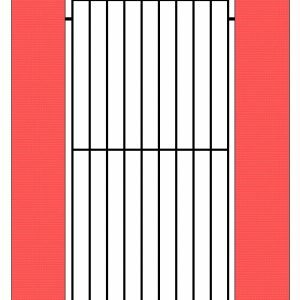 This product matches our Kingston Hairpin Single Gate and our Kingston Hairpin Railing. 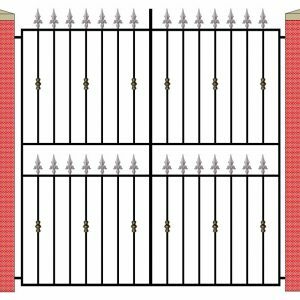 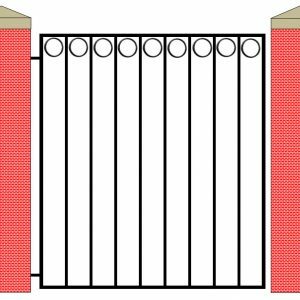 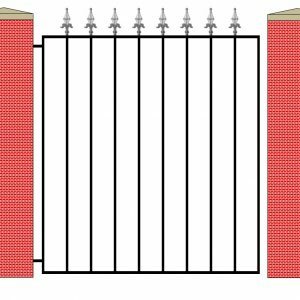 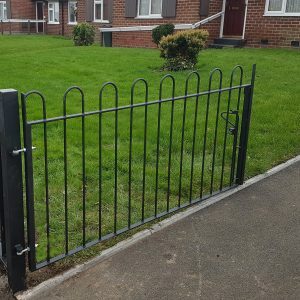 All gate sizes quoted are gap sizes not actual gate sizes so please measure from brick to brick and we will calculate all allowances for brackets, hinges, clearances etc. 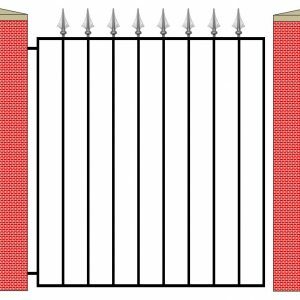 before we make your gates. 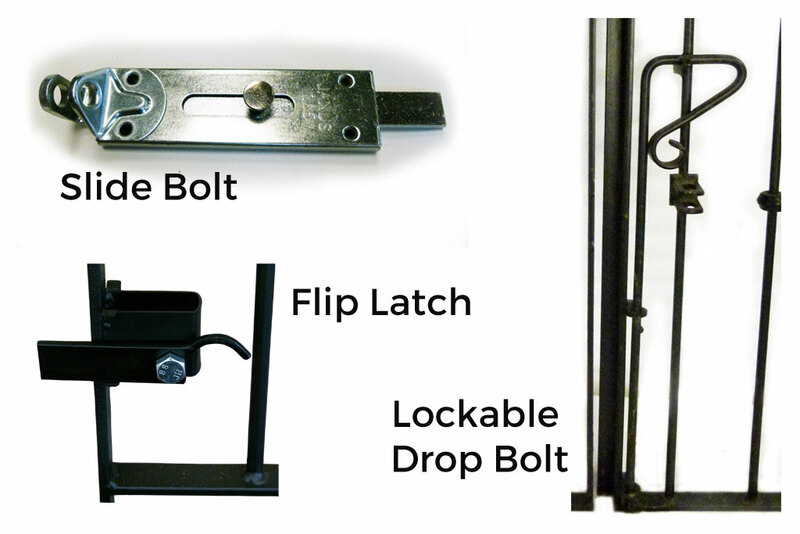 Please see How to Measure Accurately for further advice before placing your order. 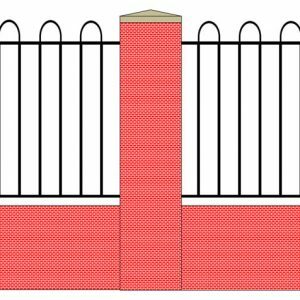 If you cannot see the size you need please contact us with the dimensions you require and we will prepare a quote for you. 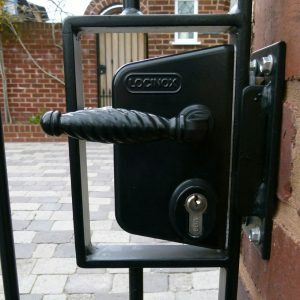 We make bespoke sizes without the high price tag so often associated with made to measure products. 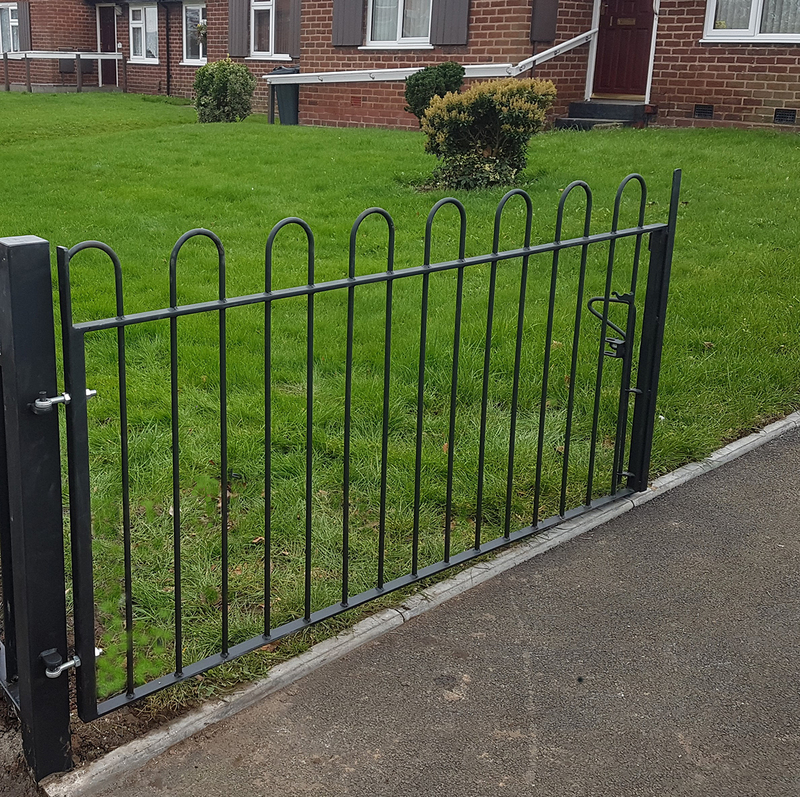 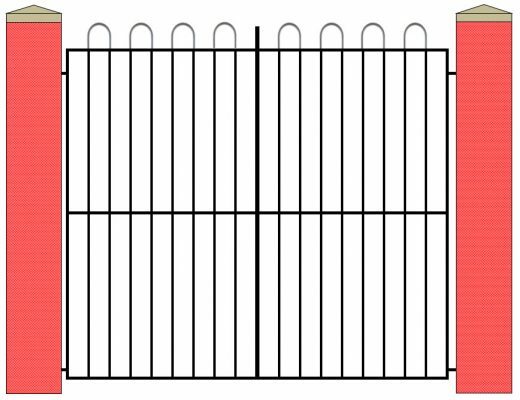 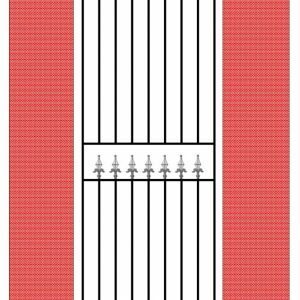 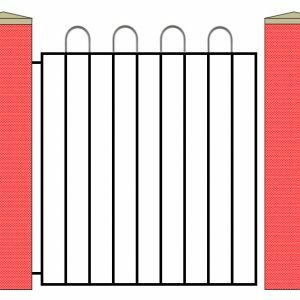 For example if you require double gates measuring 1150mm high x 2438mm wide we would only charge you for 1220mm high x 2438mm wide (the next size up in our price band). 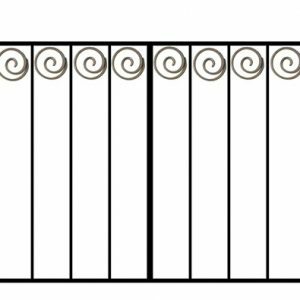 Made to order using 12mm solid round vertical steel bars spaced at 100mm (4″) intervals and 30mm x 8mm (1.18″ x 0.31″) flat bar crossrails. 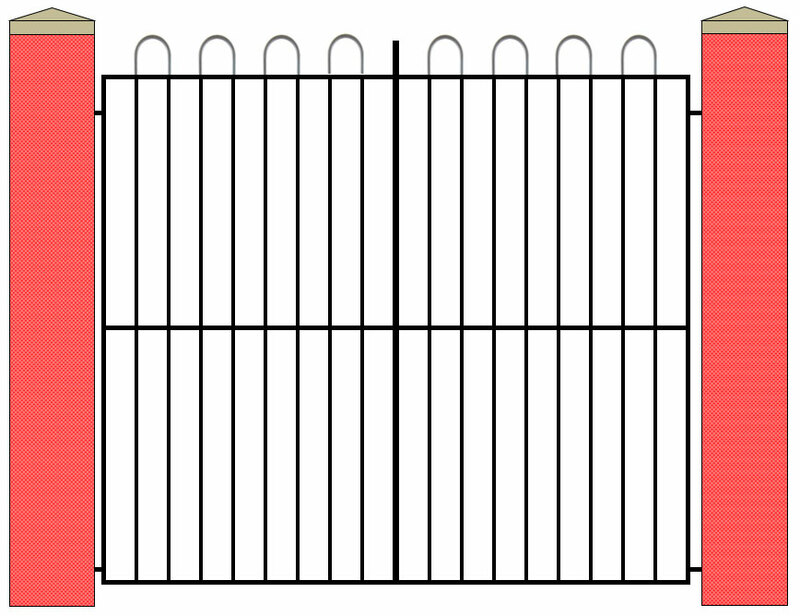 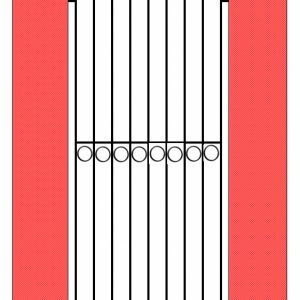 The framework will be made to suit the size of the gate you specify in your order. Also included free of charge is a fixing kit comprising brackets, hinges, latches, nuts, bolts and a drop bolt.